Cocktails, Hors D'Oeuvres & Dogs!!! 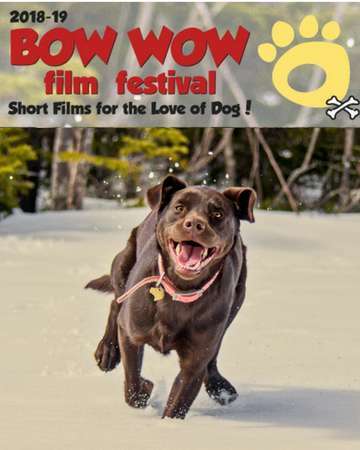 We are proud to present the 4th Annual Bow Wow Film Festival! Come join us for this fun event to celebrate our beloved canine companions! We are so excited about the movies we have chosen for our 2018-19 Tour! A few highlights for this year's films; we have movies about working dogs, both old school and new school, we have the return of the delightful Ask Frank and his advice column and we go international with movies filmed abroad! Come laugh and cheer and maybe even tear up a bit as we marvel in all the ways these beloved furry creatures touch our lives! The show will be held on Friday, May 3rd at the beautiful Highlands Church on 2644 W 32nd Avenue in Denver. The cocktail reception starts at 5:30 pm and the movies start at 7:00 pm. Tickets are $40 for adults and $20 for children 12 and under and include 2 drinks and hors d'oeuvres. And come early to partake in a wonderful silent auction! All proceeds benefit the important work of the Colorado Pet Pantry!